Mummy makeover with a breast augmentation using 300cc mod plus profile implants complemented with a waist tightening, abdominal contouring tummy tuck. Mummy Makeover including breast lift/reshape + 325cc implants as well as muscle tightening tummy tuck to create a waistline. This 30 year old mother of 2 underwent concurrent breast augmentation and belly button reshaping surgery to achieve a more attractive appearance. Early 50s, two children and large weight loss. Tummy tuck, arm lifts and breast augmentation/mastopexy procedures performed together for a dramatic result. Late 40's, 3 children, removal of existing breast implants to improve shape, combined with a full tummy tuck procedure to restore contour and cosmetic appearance. Mid 40's, 4 children, breast augmentation, using 395g teardrop implants, combined with full tummy tuck procedure to remove excess skin and stretch marks and to restore contour and cosmetic appearance. 34 yo, 2 children, full abdominoplasty combined with bilateral breast augmentation mastopexy (implants+lift) using 275g textured, round implants. Late 30s, 4 children, full abdominoplasty combined with bilateral augmentation mastopexy (implants+lift) using 365g textured, round implants, with subfascial placement. 31yo, 3 children, full tummy tuck combined with breast augmentation performed using 440g anatomical (teardrop) implants with dual plane 3 placement. 29yo, 2 children, full tummy tuck combined with breast augmentation and periarelor lift using 385g round implants with subfascial placement. Mummy makeover including breast augmentation with 415g full profile round implants and muscle tightening tummy tuck. Mummy Makeover with breast augmentation using 420g gel implants, muscle tightening full tummy tuck. Mummy Makeover with full muscle-tightening, waist defining tummy tuck and breast enhancement. 215g subfascial breast augmentation combined with muscle tightening tummy tuck. Breast augmentation and shaping with 250g breast anatomics, full tummy tuck to sculpt the abdomen. Mummy Makeover including breast augmentation with 375g memory gel anatomical implants and a waist defining, muscle tightening tummy tuck. 40s, mummy makeover including a breast lift/reshaping procedure without implants and full muscle tightening tummy tuck. 30s, mummy makeover with breast augmentation and full muscle tightening tummy tuck. 30s, mini mummy makeover with breast augmentation and mini-tummy tuck. Mummy Makeover featuring removal and replacement/lift of old breast implants and muscle tightening tummy tuck. 30s, mummy makeover with 375cc mod plus profile breast enhancement and full tummy tuck. 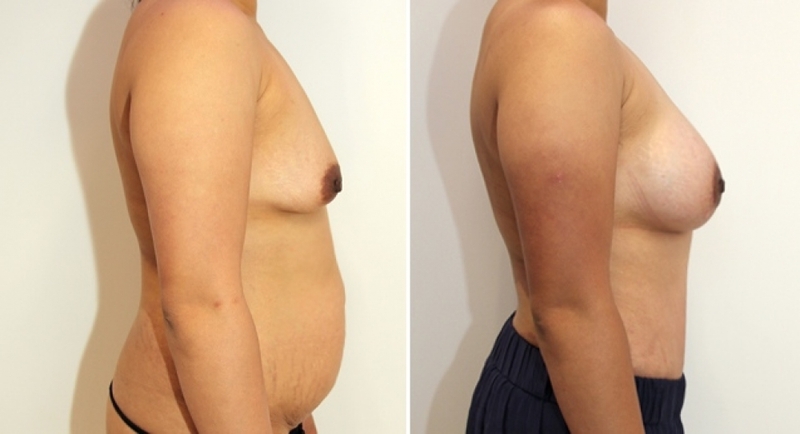 20s, tummy tuck used to tighten the muscles of the abdomen and remove excess skin post weight loss. A breast augmentation with 420g anatomical implants has also been performed. Mummy Makeover featuring a muscle tightening, waist creating full tummy tuck and breast lift.